Install the engine you want in your Exocet with our custom mount-less front subframe. 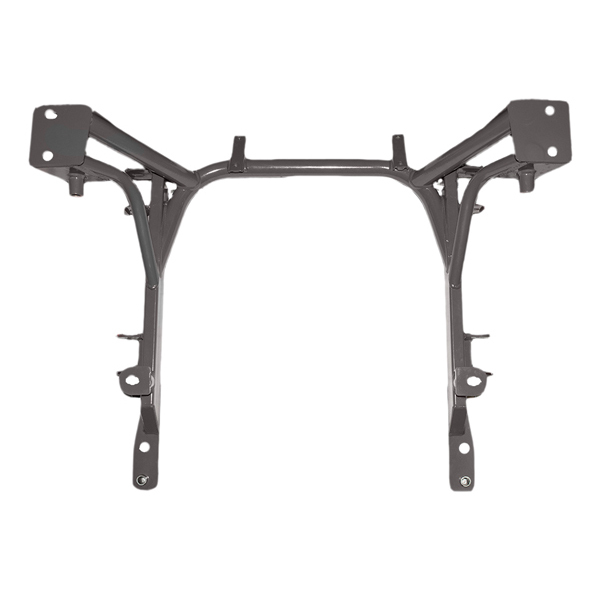 Install your dream engine in the Exocet with our lightweight, mount-less front subframe. This subframe does not include motor mounts and allows you to weld on your own to suit the engine you choose. The tubular subframe provides a 10 pound, 30%, saving over the factory NB subframe. Built from DOM tubing. All mounting and suspension points are laser cut for precision fitment and alignment. Our tubular subframe improves rigidity along with updated suspension point with improved steering feedback. Increased engine bay room allows forced induction cars more option for routing. Easier service with additional working room. Available with NA or NB steering rack mounts. Subframe is shipped bare metal ready to be finished. Build the Exomotive Exocet with the engine you want. Rotary, V8, V6, I4, electric? The decision is yours. Subframes are built to order. Lead times vary and it is best to contact us for the current lead time.